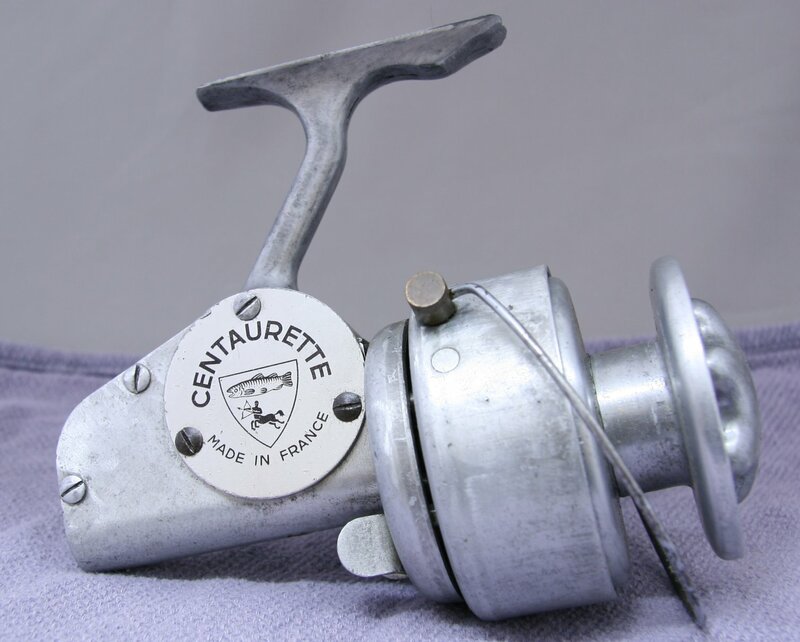 Centaurette Early 1960's reel. Paint buffed off. Made in France. 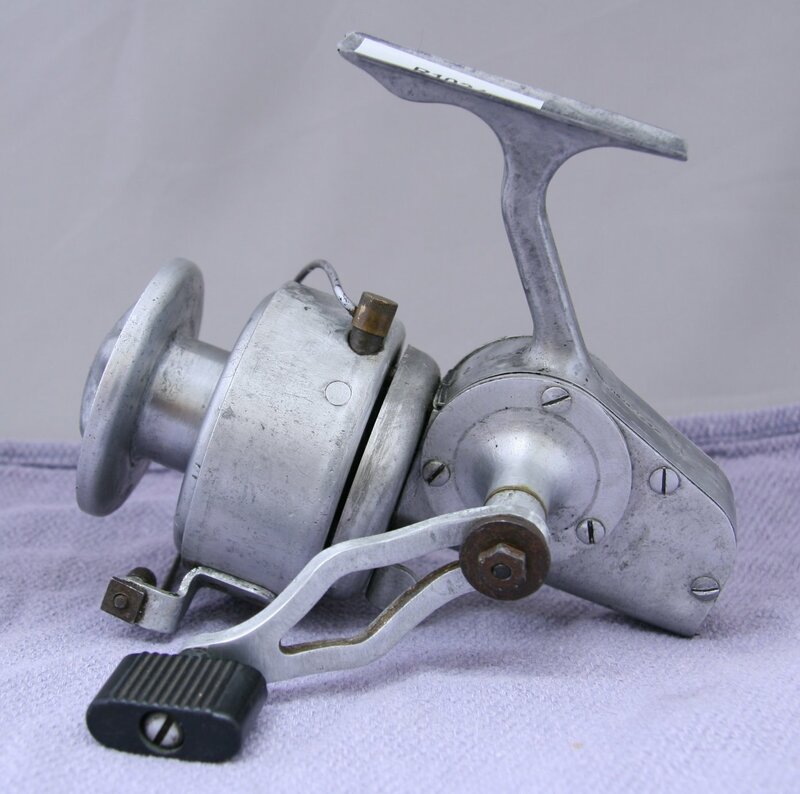 Mechanically sound, small piece of front reel foot is broken. Made in France.